Airtel launched 4G services in three new cities. 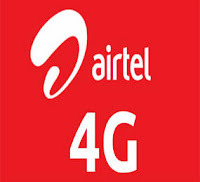 Airtel launched 4G service in Chandigarh, Mohali and Panchkula city. Bharti Airtel already launched 4G service in three metro cities (Kolkata, Banglore and Pune). If offers speed upto 100 Mbps in 4G area. This launch also reveals discriminating nature of Telecom companies which provides better services to users in big metro cities only. Small cities does not hold value for these companies. In India, 3G service is still limited to metro cities. Telecom companies only created small islands(cities) of 3G service even after grabbing licensing for whole state. Government should take action these companies but in India , who cares for it? ?